This is my go to makeup look recently. 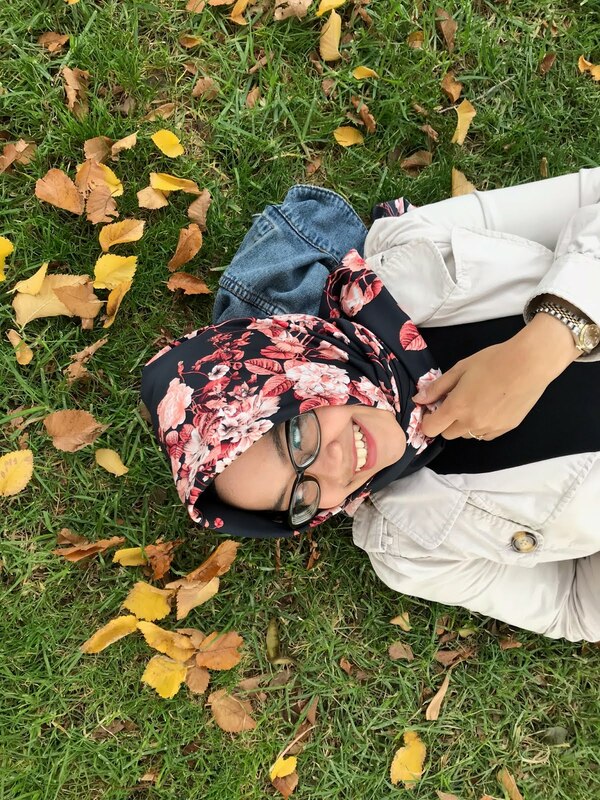 This look is effortless but still making you look put together. 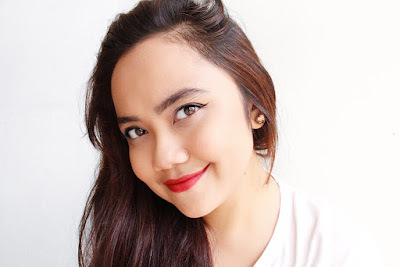 I play with different lip colours like rosy colour and sometimes I'll go just natural looking lips with only lip glosses or soft pink lipstick. 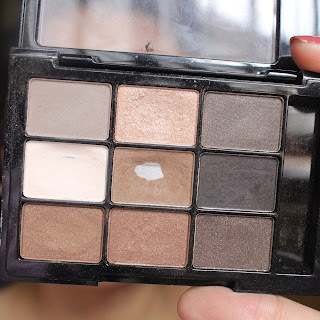 I think this is perfect for those who don't have much time to do makeup but still want to look stand out, especially on Valentine's day! 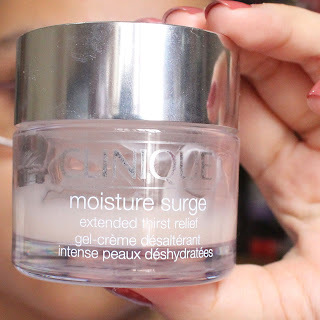 I prepare myself with moisturiser first, Clinique Moisture Surge, and let it sinks into my skin for about 5 to 10 minutes. I recommend always do this step after bath or shower. Never skip moisturiser! Also, don't forget to moisturise your lips! 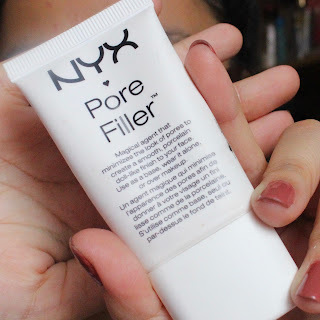 I don't usually prime my face but if I do, I use NYX pore filler. If you're going to go out for a really long time I recommend using your favourite primer. For the note, find primer that doesn't break you out and matches with your skin type. I like to do my eye first. I prime my eyelids with concealer, Revlon Colorstay concealer in fair to remove the redness and veiny lids. 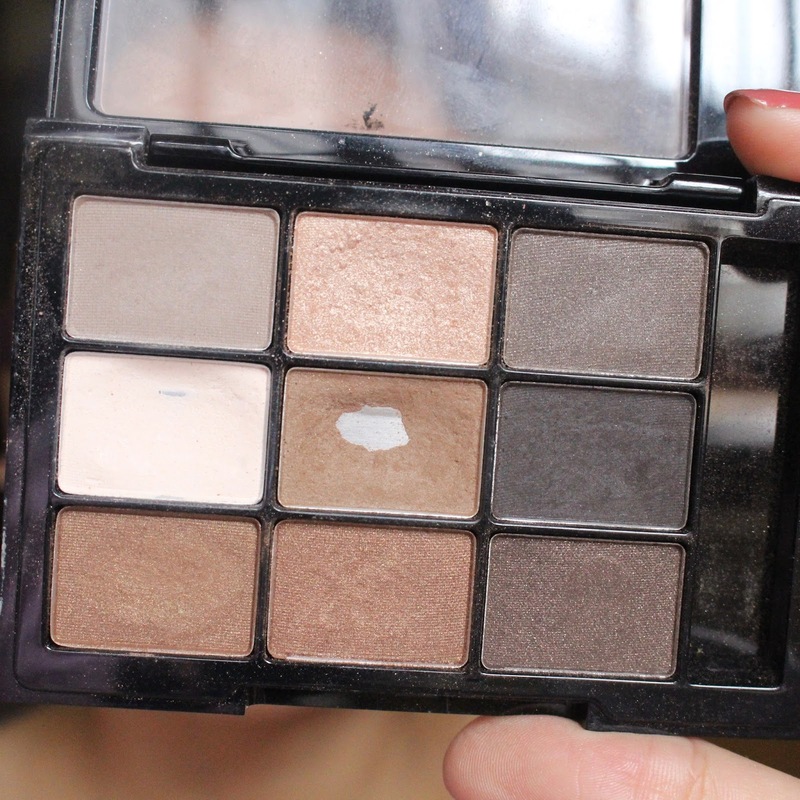 For eyeshadow, I use 3 colours from NYX Love in Paris palette in Parisian Chic. 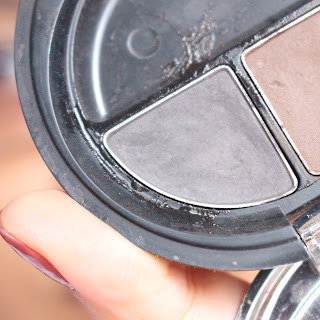 Apply the lightest colour on the palette all over your lids. Don't forget on your brow bone to highlight. 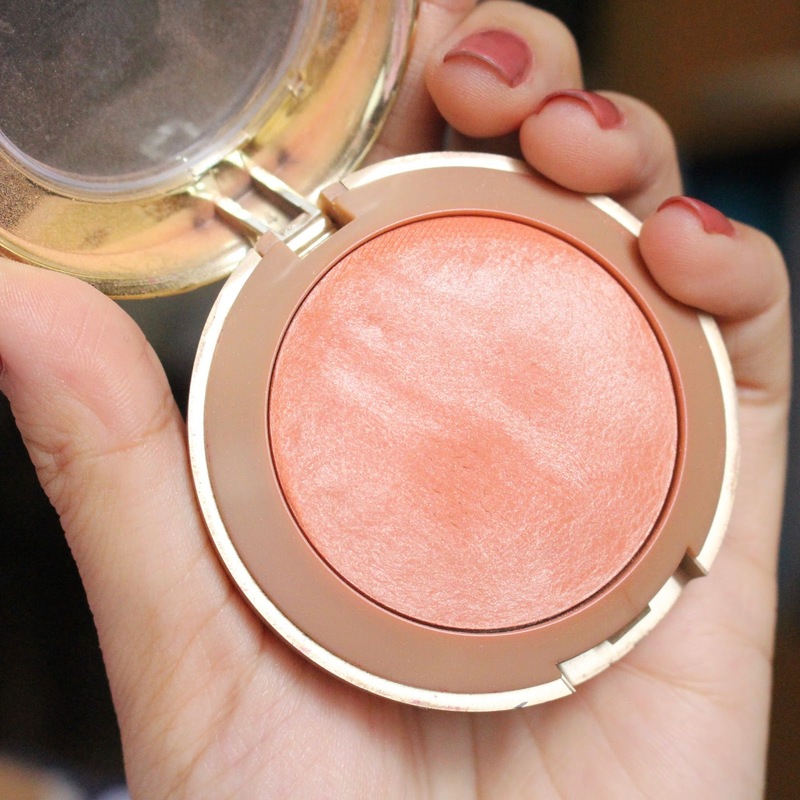 Then I apply the pink - rose gold colour on the lids to make my eye colour pop. 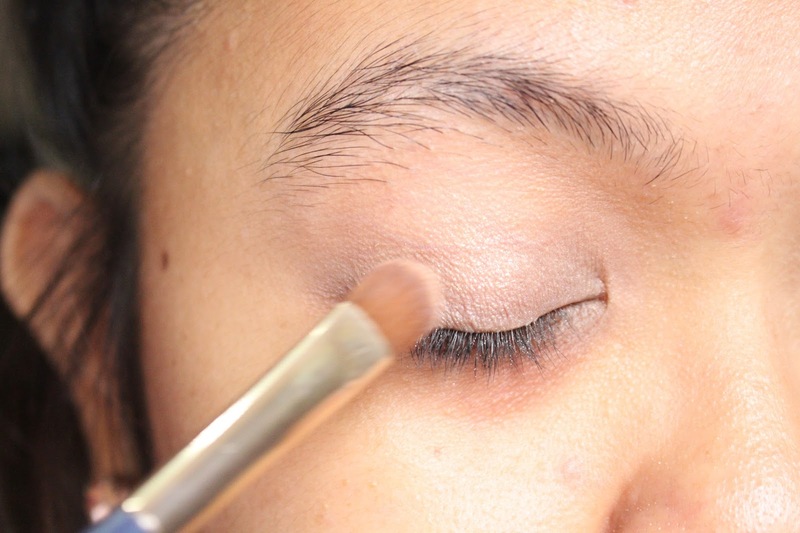 Last step, I use the matte brown colour on the outer v of my lids to define my eye shape and make them look deeper. This is the fun yet trickiest part! 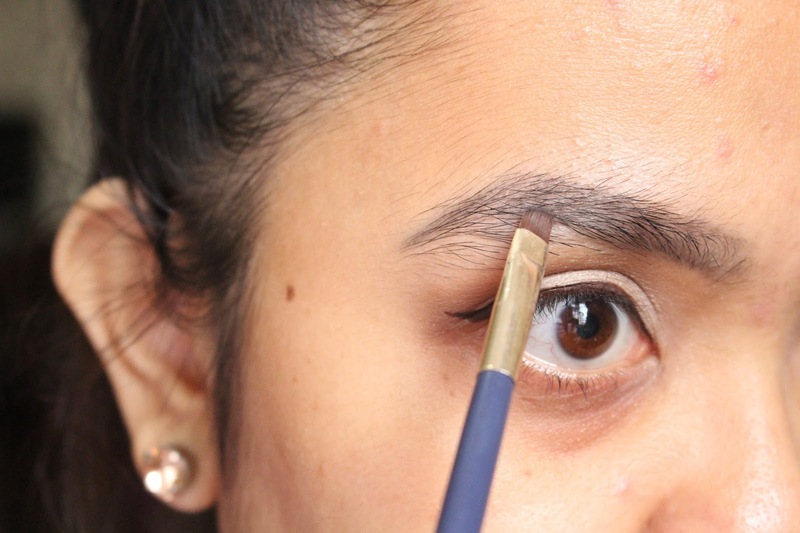 Wing liner. I have a hate-love relationship with eye liner. Somedays I hate using eyeliner but somedays, I'll go for it on every single day. I'm not a professional so perhaps this is not a perfect line. 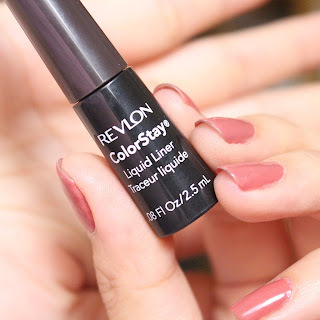 I use Revlon Colorstay Liquid Liner in black brown. Personally, I don't like using black liner, it makes me look paler than I actually do. 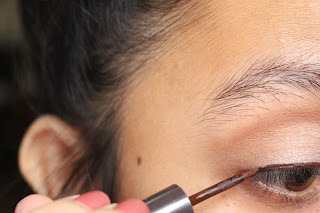 Curl your lashes and apply good amount of mascara. 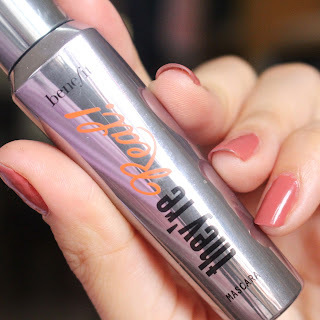 I use Benefit They're Real! 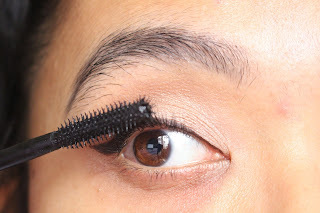 mascara. This probably my most favourite mascara! 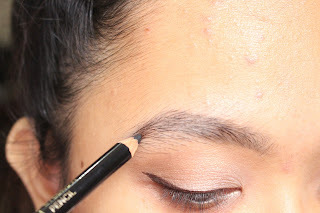 We already go dramatic with eyes, just go a nicely define brow but still not too much. Follow your natural brow shape and fill in the gasps. Choose the right colour: go 1 shade darker than your natural brow hair. 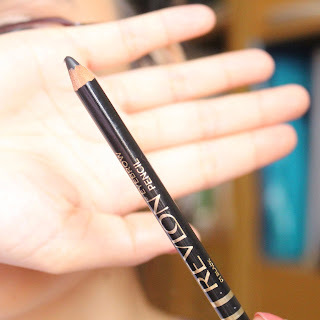 I'm using Revlon Brow Pencil in black to define the shape and fill the brows in with The Body Shop Brow Kit in black. 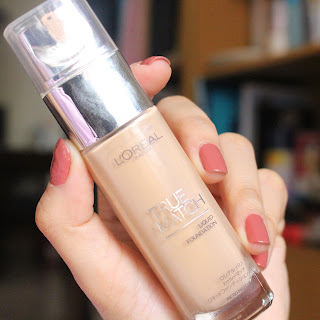 I don't have any skin problems lately, so I'll go with light-medium coverage foundation, L'oreal True Match Liquid Foundation in G2 gold porcelain by using brush. 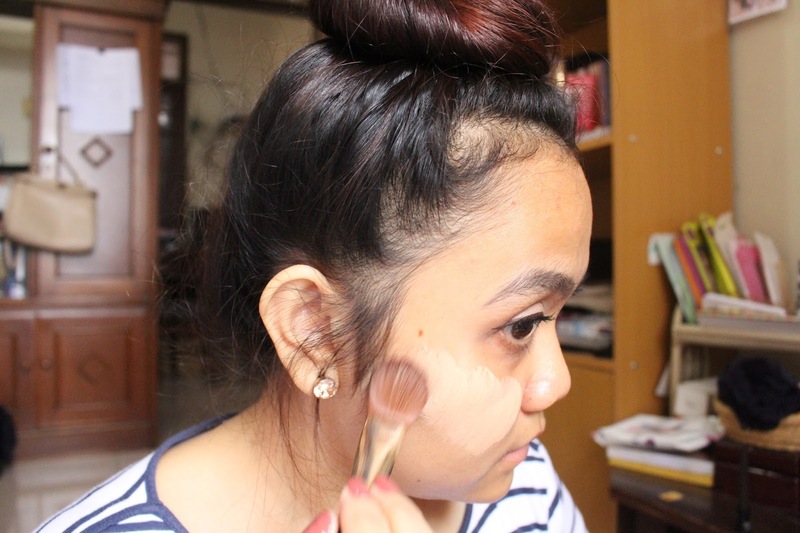 I found it works better using brush instead of using beauty blender. 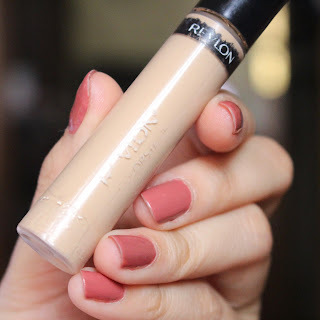 Follow up, I use Revlon Colorstay concealer in fair on my problems like pimple and redness. To cover up my eyes, I use L'oreal True Match concealer in fair/ light. 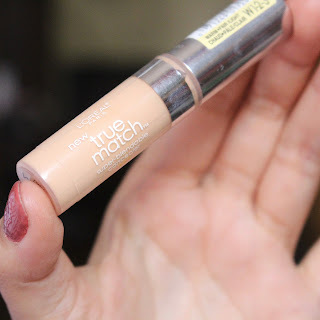 I use both of concealers with my finger. It makes the products work better. 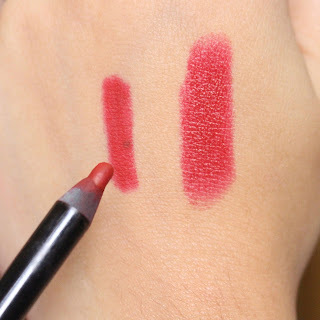 Because we're going for quite dramatic lip colour, I'm not going crazy with blush. I use Milani Baked Blush in Luminoso to warmer my pale skin. Red lips are always fun but it will be a disaster if the colour doesn't last long and make you busy by touching it up. 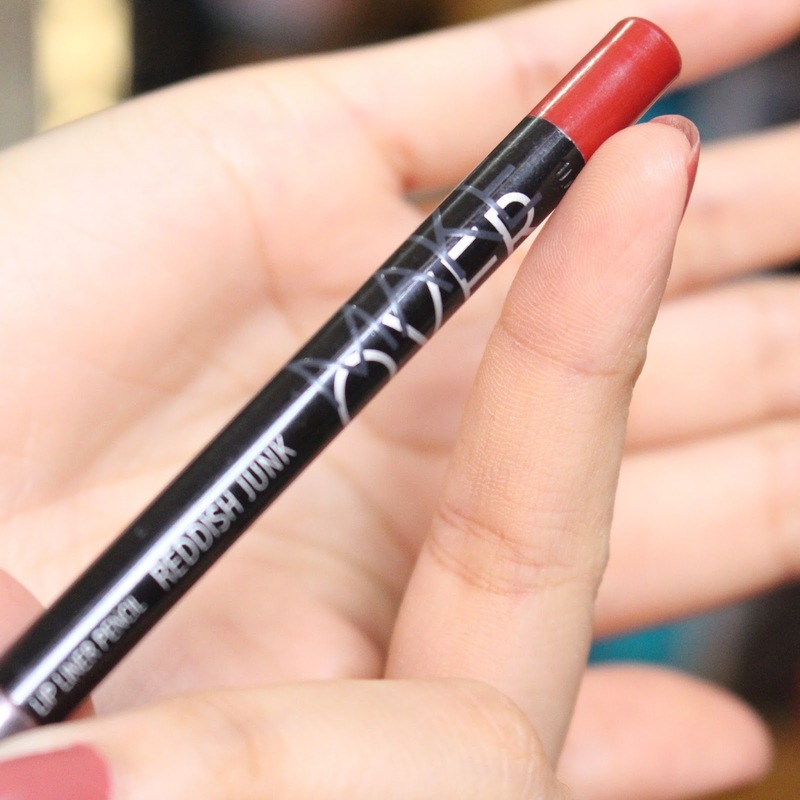 I recommend using lip liner first, here I use Make Over lip liner in reddish junk. 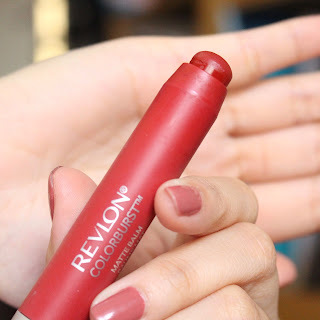 For the actual lipstick, I use Revlon Matte Balm in standout. This is probably my favourite red lipstick ever.